Wood flooring is becoming an ever increasingly popular flooring choice when it comes to home offices. This is due to the stunning and sophisticated aesthetics that this flooring solution offers, it can also be attributed to the ease with which this flooring can be maintained and cleaned when compared to other flooring options such as carpets. One of the chief problems that faces those who have selected wood flooring for their home office is choosing the optimum finish. This can be especially difficult! In order to ease the selection of your flooring finish we have created this comprehensive guide. This is easily the single most popular finish in our product offering. When complete, this finish provides a grain which not only looks natural but has also been beautifully enhanced, highlighting its natural features. 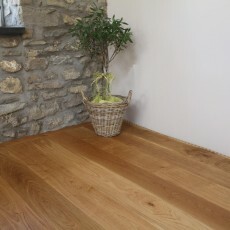 In order to achieve this finish, the oak is coated with natural coloured waxoil. This colour is selected due to the fact that it will not change the colour of the underlying wood. It merely enhances the naturally occurring colour of the oak and its features. A second method is required to achieve this finish. This involves brushing the face of the planks during the manufacture process. This process removes the softer fibres of the oak, enhancing the natural grain features whilst also providing a highly textured surface. The addition of the waxoil surface finish not only produces stunning aesthetics, it also means that scratches and marks are far less likely to plague the surface of the flooring following installation. 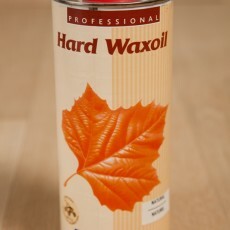 Also this naturally coloured wax finish offers you later customisation options. 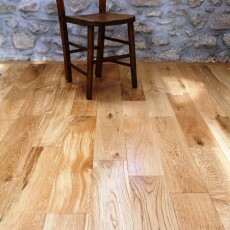 Should you decide that you want to make the oak flooring darker then you can. The process is simple, just apply another coat of waxoil in your desired colour and you will achieve your chosen finish. This finish is incredibly easy to maintain. It should never require a complete re-finish, however to maintain it simply perform a light sanding then apply another coat of waxoil in your desired colour. This finish is deep textured and is accomplished through brushing the face of each plank twice as part of the manufacture process. Once brushed, several coats of a dark waxoil are applied to the planks in order to enhance the pre-existing natural grain features. The result is an appearance which is equally antique and beautiful. 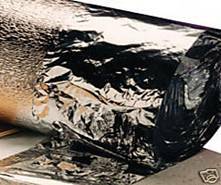 We have found that this finish has enjoyed the highest levels of popularity in conversions and restorations. 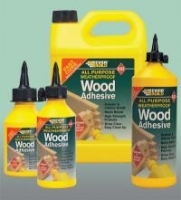 Similar to the Brushed and Natural Oiled finish, this finish is incredibly easy to maintain and should never require a complete re-sanding of the complete surface area for refinishing purposes. Refinishing is simple. Just sand the areas of the flooring that have become worn by hand. Once done apply another coat, or two, of waxoil in order to revitalise the colour of the flooring and give it that brand new appearance. In order to accomplish this finish type, a number of UV lacquer coats are applied to the flooring planks on a foundation of primer. 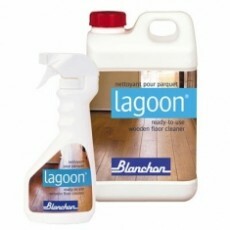 Subsequently, an anti-scratch protection coat is then applied to the flooring in order to make the surface area more durable following installation. This process results in a flooring solution which is simultaneously smooth to the touch and hard, with a shiny satin finish. 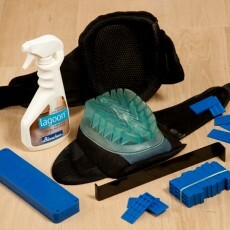 Best of all, this finish is incredibly easy to clean, great for deployment in your home office. This finish is an incredibly popular choice due to the fact that compliments a wide range of different interior styles and decors. Want a flooring finish that is unique and rustic, then look no further than our hand-scraped finish! We are especially proud of the diversity and quality of our hand-scraped flooring options, best of all they are competitively priced! This finish is accomplished through traditional wood working techniques. To demonstrate, each plank is hand scraped before being coloured with either waxoil or a lacquered satin. This process means that this finish type will create a distinct textured appearance when applied to any environment. The hand scraped finish adds depth, warmth and a unique character to any interior, perfect for adding some distinction to your home office! We are most proud of this finish, as we designed it ourselves! 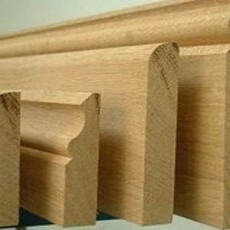 The finished is accomplished through enabling all grades of oak into the finish production line. Following this, all open natural irregularities within the wood are filled using a very dark filler and then sanded before an oil finish is applied. This process is undertaken in order to accomplish an effect that highlights and enhances the naturally occurring features within the wood, such as knots and splits. 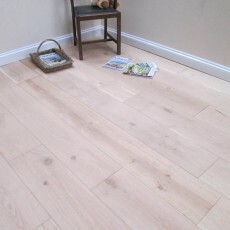 The end product is an extremely rustic appearance that is simply stunning. Celtic Character Rustic is perfect for deployment in an interior which receives high levels of traffic. This is due to the fact that any marks or scratches that occur on the flooring actually add to its character. This flooring finish is literally what it says it is- unfinished. 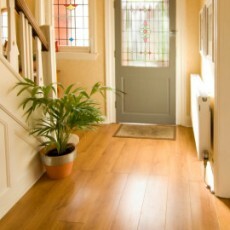 To prepare flooring of this type the wood is simply sanded down and then sold. This provides you with a blank canvas where you can achieve any finish or colour that you desire. This flooring type is particularly popular with those who have a particular theme they wish to accomplish. The unfinished flooring plank is incredibly popular in areas where high levels of traffic and spillages are likely to occur. 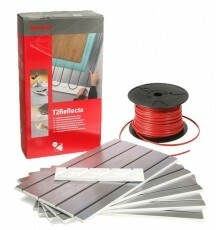 This is due to the fact that the flooring planks can be sealed on site with a wax finish following installation. This process actually creates a seal between the boards themselves, providing a substantially stronger surface finish which is more durable. For more details about any of our oak wood flooring surface finishes, or this specification details and information about the waxoil we utilise, a member of our dedicated customer service team can be contacted by calling: 0800 043 3073.